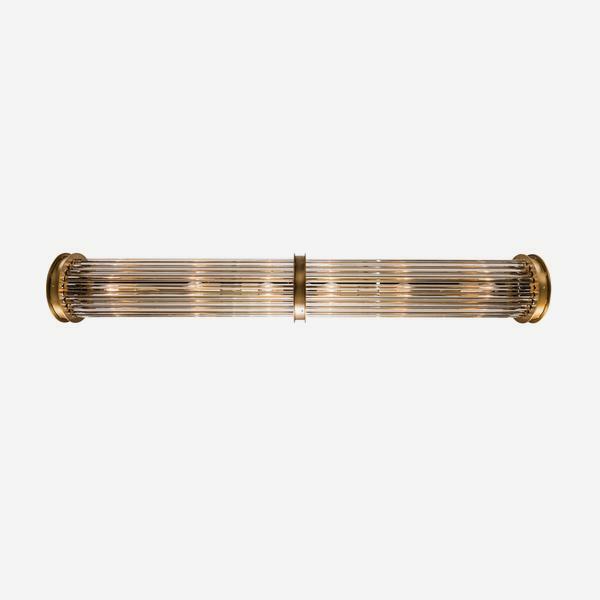 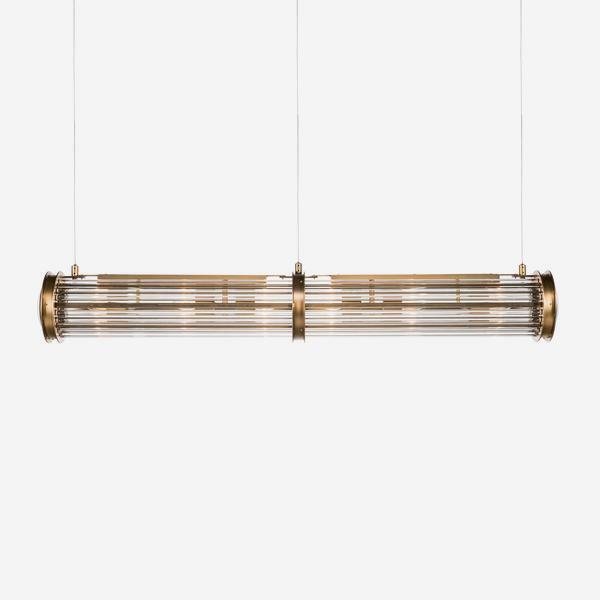 A double pendant light consisting of many clear acrylic strands encircling a line of bulbs which creates an overall fluted tubular look like 1920s pillar lights. 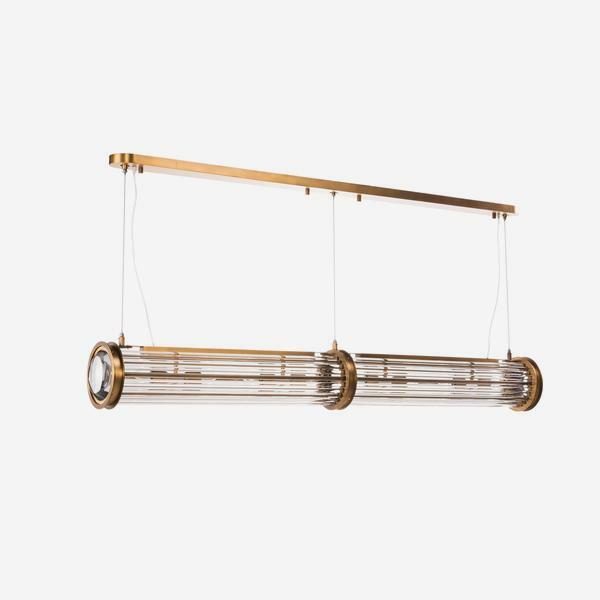 Tubor is where Art Deco meets modern design, framed with golden rings and hanging on thin metal wire so it looks like it's suspended mid air. 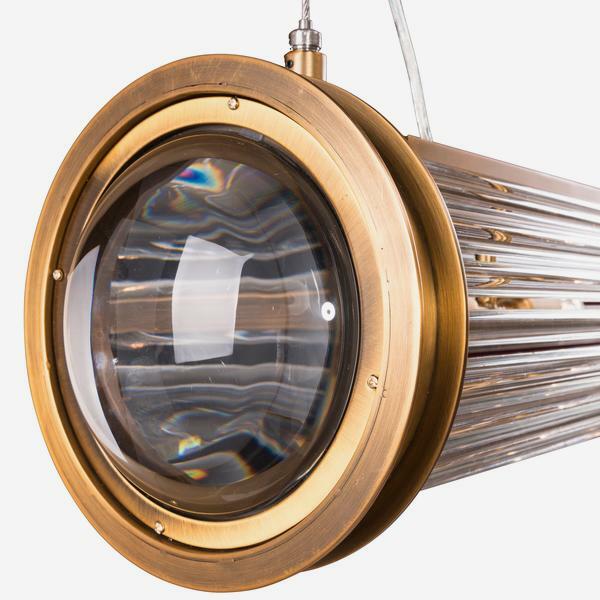 The two halves give out an overall glow for atmospheric room lighting.